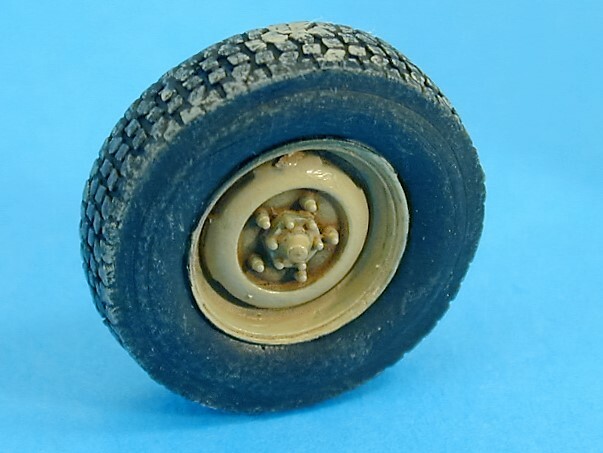 This 1/35th scale set is designed to modify either the Tamiya Land Rover Series IIa Ambulance kit (35082) or the Revell Land Rover Series III kit (03025) to carry the Bridgestone Sand Tyre of the type fitted during The Gulf War of 1991. 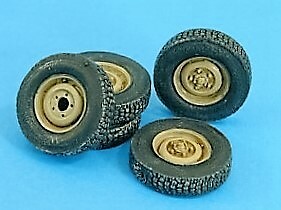 Contained in the set are four resin roadwheels plus spare and instructions for fitting to both kits including the correct track measurements. This set could also be fitted to the later Land Rover Ninety/OneTen models used in the same conflict.